After all, from the time he was 8 years old, Spivak would go straight from school to one of the eateries his father owned. There, he’d fold napkins, cut carrots and, when he grew tall enough, wash dishes. Spivak eventually went on to be co-founder of his own celebrated eating-place: The Grill on the Alley, the power-lunch spot in Beverly Hills. He then leveraged that flagship into Grill Concepts Inc., where he served as chief executive for more than 20 years. In that time, thanks to the acumen of Spivak and partners Michael Weinstock and Richard Shapiro, the company grew to 25 locations nationwide. System wide sales ballooned from $3 million to $100 million. 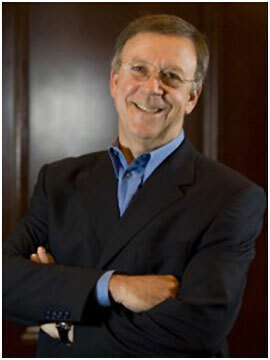 Now, along with Chuck Frank, a top restaurant executive for more than three decades, Spivak has launched Spivak & Frank. The restaurant development firm will develop restaurant concepts, overhaul existing eateries, evaluate potential acquisitions, and aid with growth or exit strategies. Given how long the 66-year-old Spivak—the California Restaurant Association’s Restaurateur of the Year for 2007 has been a big name in the industry, his latest venture might seem like the capstone to a career always steeped in success. But there was a time, Spivak recalls, when his future didn’t look so bright. Spivak was nearly 40 years old when he found himself marketing organic vegetables. He was recently divorced and living at his father’s home because he couldn’t afford to pay rent for his own apartment. He had almost nothing—except a stubborn dream to own his own restaurant. In his 20s, Spivak went to work for Fedco, a discount store where he sold corned beef and lox at the deli counter and later rose to become manager. His boss, Morrie Gettleman, opened an L.A. restaurant, Soup ‘N ‘Such, and hired Spivak to run it. By the time he was ready to open his own place, Spivak knew exactly what he wanted: an American grill with impeccable food and service in an upscale part of town. He knew he had a great idea and good timing too. Partners Weinstock and Shapiro were ready with an infusion of cash to make his dream a reality. Indeed, in 1995 the company went public—the same year its flagship, The Grill on the Alley, was inducted into the Restaurant Hall Of Fame. Twenty-three years later, Spivak is moving on. But don’t confuse that with moving out. Although he will now devote most of his energies to his new venture with Frank, Spivak will remain on Grill Concepts’ board as co-Chairman and consult to the company. Meanwhile, he says, he’s ready for the next chapter.